Located opposite Saint-Eustache church in the heart of Paris, Champeaux revives the most beautiful brasserie cuisine classics, using the best seasonal ingredients. The soufflé, the restaurant’s signature-dish, perfectly embodies this traditional and contemporary approach. Chef Luc Broigniez offers an elegant interpretation of this monument to French cuisine, with both sweet and savoury variations. Le Pavillon LeDoyen, home to the three-star Michelin restaurant Alléno, is ranked as one of the World’s 50 Best, and the neo-classical mansion is well-situated in gardens overlooking the Champs-Élysées. Elegance is the key descriptor for this venue with more than two centuries worth of history, rumored to be the location where Napolean met Josephine and a favourite of artists and writers such as Degas, Monet, and Guy de Maupassant. 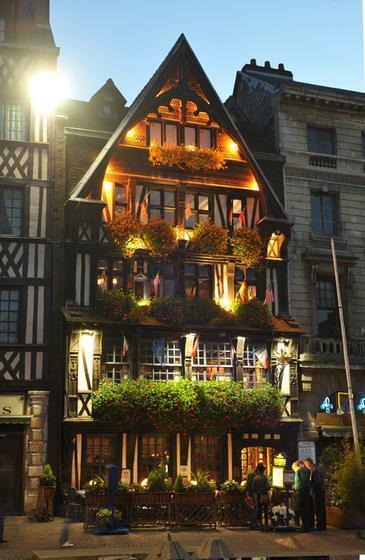 La Couronne, founded in 1345, is the oldest inn in France. It is located in Rouen, capital of the region of Normandy. It is in the historic city center and the dining room on the 1st floor contains paintings of personalities. In 1948, the restaurant served chef and author Julia Child her first French meal, which was said to inspire her to devote her life to promoting French cooking. 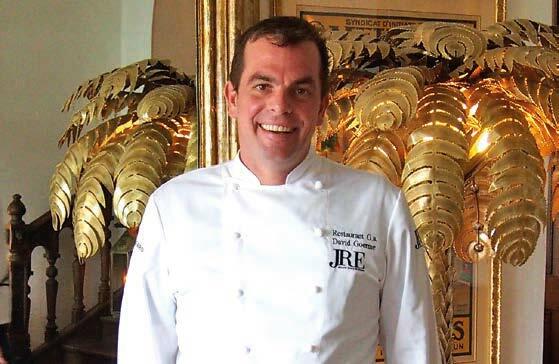 1912 cuisine is a combination of harmony and contrast depicted by Johan Thyriot's inspired culinary creations that delve into flavours from Japan and southwest France, all of which masterfully seasoned with herbs and rare spices. The result is enticing, subtle and convincing dishes that will leave no one indifferent. 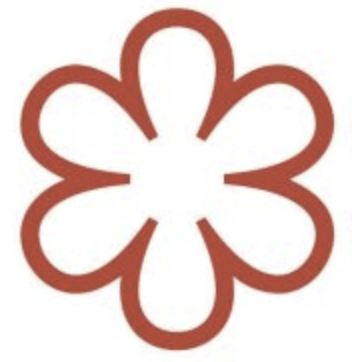 Michelin starred L’essential, also located in in central Deauville, chefs Mi-ra and Charles blend a fusion of two gastronomic cultures for atypical French cuisine with a mix of Asian exoticism. With the goal of astonishing the palate with a farm to table menu. 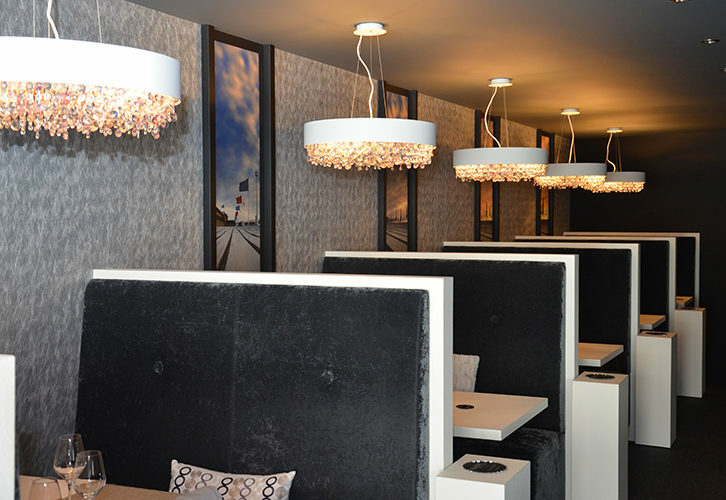 Michelin starred, Maximin Hellio is located in Deauville, Normandy, in the heart of the city center, 300 meters from the beach. This chic, elegantly decorated restaurant with an open kitchen offers modern gourmet cuisine, while respecting the foods of the season. The Globe and Mail is proud to welcome Chef David Goerne on board; the chef-owner of the Michelin-starred Restaurant G.A. brings his talents to our table with a bespoke dinner. Chef Goerne’s G.A. Caudebec-en-Caux restaurant or 'gastro table d’hôtel' located in the Manoir de Rétival is known for his inventive, amusing, flavourful cuisine. Brush up on your gastronomy skills with culinary excursion options in Rouen and Honfleur. Attend a cooking demonstration on French cuisine at Rouen’s Institut National de la Boulangerie Pâtisserie, hosted by Globe Pursuits columnist and food writer, Tara O’Brady. Enjoy an intimate cooking lesson at La Maison du Chef Normand, and learn how to prepare an authentic Normand meal hosted by Cruise culinary host, Tara O’Brady.